I’m in the process of slopping my back yard away from my house for better drainage. I had a contractor come and added 40 tons of clay for the base and 40 tons of topsoil. I seeded with Kentucky Elite, added lime and two types of fertiliser, 10/10/10 when I spread the seeds and 7/21.5/23.5 three weeks later. I water every day and things are not perfect. I have lots of weed popping up that I know I can control with Killex however there is a good crop of crabgrass emerging. My question is…If I was to inject the stem of the crabgrass plants with roundup using a syringe, would that be effective and not affect the surrounding grasslets (baby grass)? The other issue is, moss is growing in bare areas. I checked my soil and the ph is 6.6 and the fertility is 5 according to the three-way analyzer I purchased. The water I’m using is coming from a well point 12 feet deep. I'm probably not the right person to ask about using Round-Up. I have a chronic illness that may have been triggered by the use of chemical pesticides in my former career as a professional propagator, so I resist the use of all pesticides and herbicides rigorously - especially where you, children and pets may be closely contacting it. If possible, cover the crabgrass plants individually with a dark plastic pot like a nursery pot to deprive it of light. 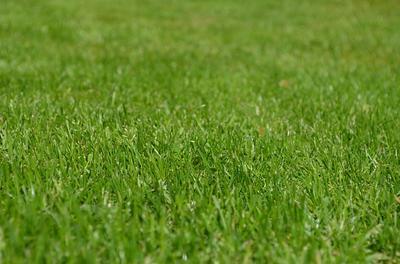 You may lose some of the desired variety of grass, but it will weaken the crabgrass enough that you could dig it out. It's possible that you'll never get rid of it entirely because it probably is in seed form in the topsoil. Sorry this has happened - thugs are all around us. I suggest that you give your project some time - the balance of soil, water and plants will be reached, but it could take several years - be patient! The only way to have instant gratification with lawns is to use sod, which looks perfect from day 1, with consistent watering. If moss is an issue, sprinkle dolomite lime on those areas in the fall and again in the spring. Most likely the moss is only growing where the pH is low and acidic. Dolomimte lime is extremely safe and hard to overdose on, so don't worry about using too much. DON'T use hydrated lime, only Dolomite.